I’ve been seeing Common Green Darners for weeks – migrants, back from the south. And lots of Eastern Forktails emerging all over the place – locals, all… travelling not far from their birth ponds. 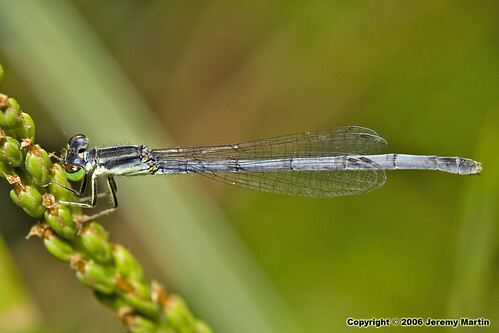 Perhaps other forktail species, too. I haven’t looked that closely, yet. It surprised me, though, to see this teneral on the bark of a tree on a cool day quite far from water. 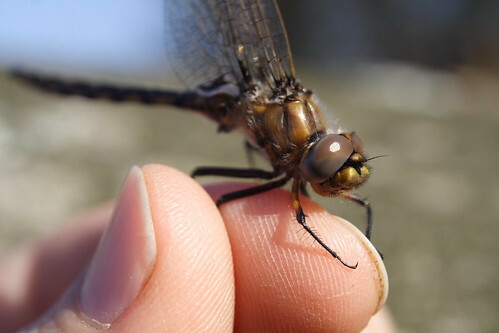 I think it is a Beaverpond Baskettail. I’ve asked my dragonfly-expert friend Jeremy for confirmation. He agrees with the Baskettail part, but is unwilling to commit to what kind. I should have taken a shot of the terminal appendage for positive ID. Oh well. I’m sticking with Beaverpond, just because my field guide shows them just a tiny bit earlier in May than Common. How great to see the Dragonflies back! Did you post this on your dragonfly blog? Gorgeous pictures. I have seen several skimming the water but never resting. Those are some great pictures. They are so amazingly intricate and detailed. It blows the mind to think how long it took by natural selection to come up with those colors and designs. 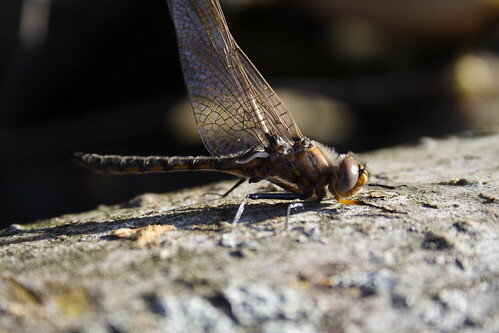 I would love to get pictures of dragonflies but I can never seem to catch them still long enough. Beautiful photos. 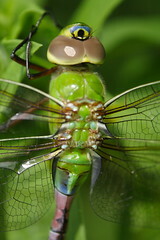 Great photos of the dragonflies! I still haven’t seen any yet here at Roundtop.